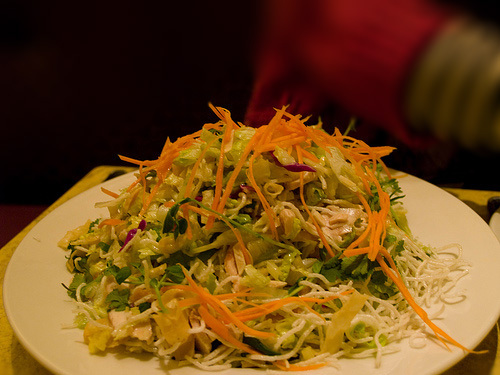 Vietnamese salad goi look fancy, but they’re really not that complicated. They use simple and mostly inexpensive ingredients and are served cold, so you can take them with you to enjoy on the road. 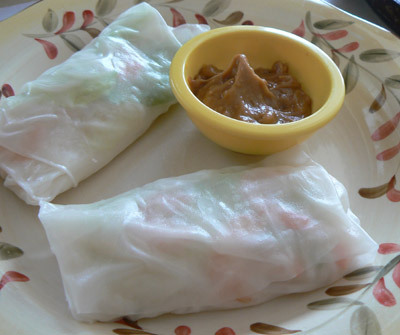 The trick is in the rolling of the rice papers, but with some practice, it gets a whole lot easier. I’m always working on my technique, but no matter how the folding goes, the results are always delicious. 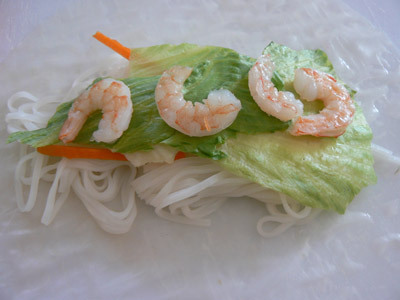 This recipe makes 8 Vietnamese salad goi. 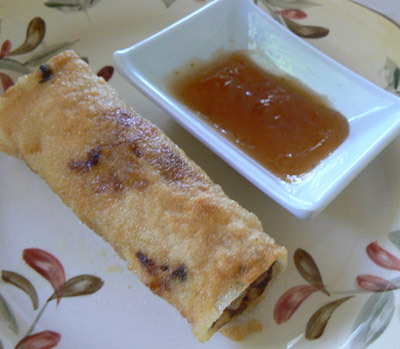 The word “goi” means “roll” in Vietnamese. 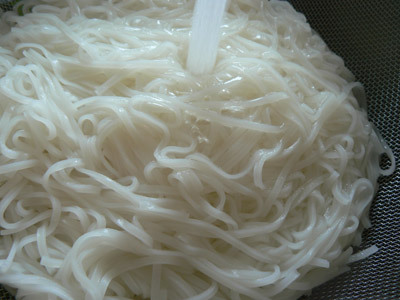 Cook the vermicelli according to the package directions. Then rinse with cold water and strain. 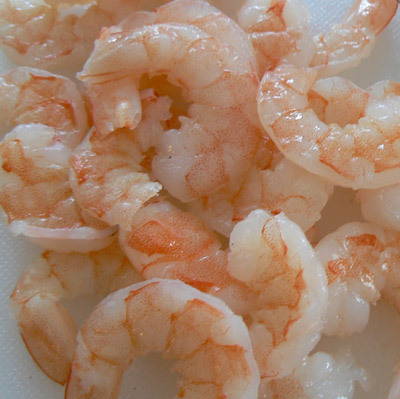 Peel and remove the tails from the shrimp. Then cut them in half lengthwise, so you have a flat bottom to each piece. 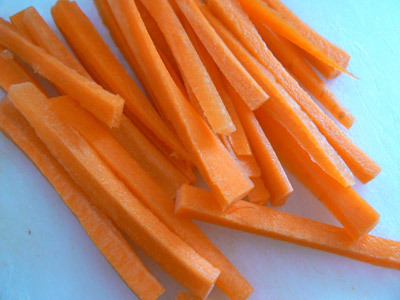 Get your julienned carrots and lettuce pieces ready. 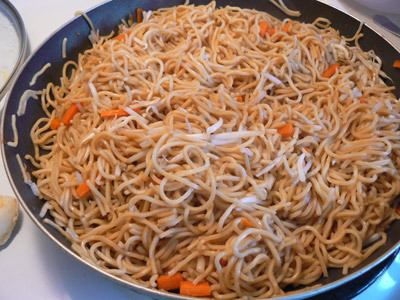 Now fill a large skillet or dish with a few inches of water. The skillet or dish needs to be large enough to put the rice paper in as the water will soften the paper, so you can make your roll. 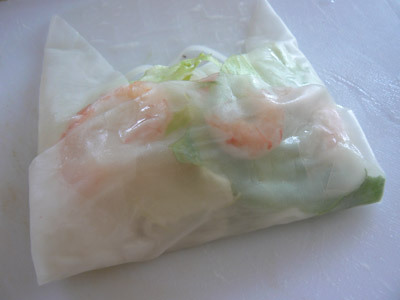 Dip the rice paper into the water for a few seconds to soften. Don’t wait too long or the paper will be too soft and will break. 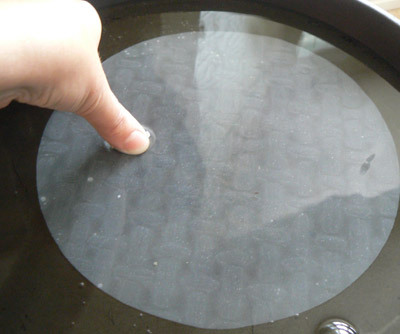 After a few tries, you’ll know exactly how long you should dip the papers. 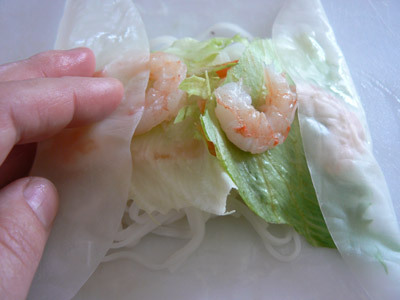 Take the sides of each wrapper and fold them inward. 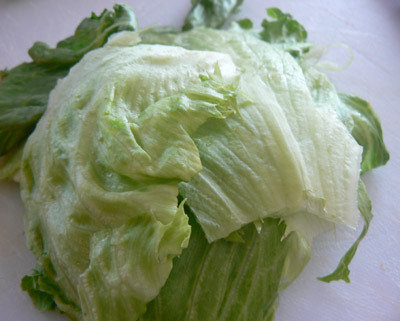 Then take the bottom and fold it upward. Then roll the wrapper closed. 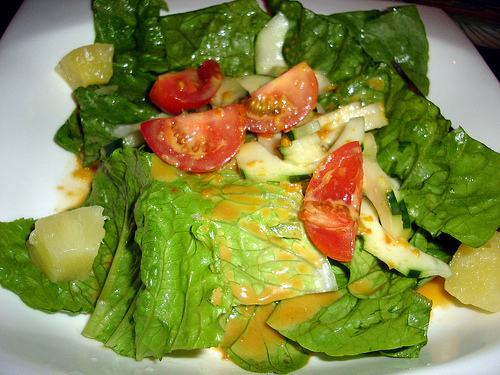 Serve your Vietnamese salad goi with peanut sauce and enjoy.